Public classes allow you to practice in a group setting, sharing the community spirit that yoga creates. I believe the individual needs to feel part of a group, yet to perceive a very intimate customized treatment to feel special. 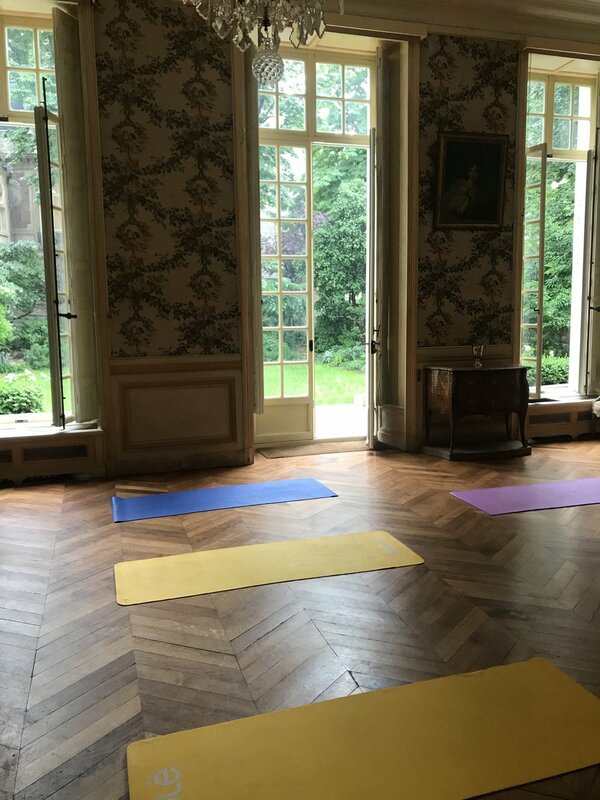 This is the reason why I love to accompany small groups int he yoga practice, in very special and unique environmente, such as the secret Parisian saloons with the charm of ancient times. Yoga can be therapeutic and a real magic in someone's life. I love to offer modifications, breaking down the flows and positions, teaching mind focus and breathing techniques to make each one comfortable and confident during the whole session.